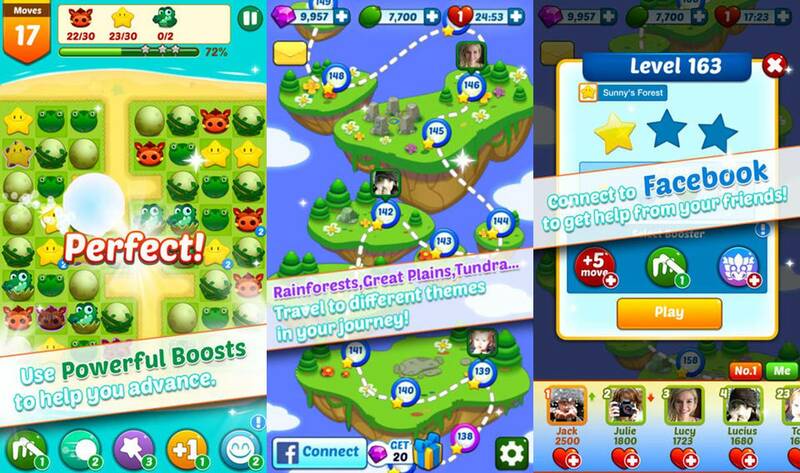 Cheats, Tips, and Level Guides for the popular mobile game Happy Forest. Happy Forest can be downloaded now for free for Android, iPad, and iPhone devices. Feel free to leave any comments if you need any help! Happy Forest Free Lives Cheat – This Happy Forest cheat will help you get lives whenever you run out without all that waiting around. First, once you run out of lives exit your game and head on over to your mobile device’s settings. Once in the settings find the Date & Time section where you can change your mobile device’s time. Move the time ahead to however long you had to wait and exit out of your settings. Open up Happy Forest again and, if done correctly, your lives should be refilled! Check out the video below for more help! Is there any walk throughs or tips for higher levels? I am on level 163 and trying to understand how exactly those seed guys work. Any tips for levels beyond 25???? I am on level 356 and the game says to be continued. Help I want to play the game. I really enjoy Happy Forrest. Thanks! How do you get passed “to be continued” on happy forest?